Teaching and learning are rigorous work. Differentiation is necessary if we want to give our learners the best chances for success. Yet national and state mandates, along with time and resource constraints, create challenging environments. The result is a common inclination for teachers to attempt controlling the flow of instruction. How else can all of our students get all the content standards if we're not stuffing it all into short time frames with limited timelines? A teacher reads aloud from a textbook, while students follow along with their own books. After ten minutes, the teacher asks an engaging question about an ethical choice. Various students respond -- to the adult, not each other. In this scenario, the guarantee that most or all students are engaged is just as likely as the possibility that most of the students look attentive but are daydreaming while a few individuals are involved in a discussion with the teacher. What is often seen as control of learning is the power to manage discipline. What is real? Teacher authority and power. One student described teachers as having "the power of the mouse" to place grades and points into computerized gradebooks. Wielding power may cause students to go along with teacher-directed instruction to avoid consequences, or go underground with passive disobedience such as pretending to pay attention. A better guarantee of learning is enabling students to share decision power. How much richer might the conversation be if the students were reading passages in groups? Some read aloud as needed and discuss among themselves the difficult ethical dilemma questions. Another possibility is groups based on reading skills, so that students who needed the challenge of silently reading the text could do so. Meanwhile other students could listen to a recording or a read aloud, while following along in their books. The teacher, no longer the center of action, becomes the project manager who evaluates everyone's skills and meets their needs through coaching and facilitative probing questions. Teachers develop choices and provide them to students. While choices are a good instructional strategy, they can fail to bring about engagement. Which would you choose if given the following options? Spend an hour working on something you hate. Spend an hour working on something you don't care about. Pretend to do the work. For many students, the teacher choices feel like this example. Why? All of the choices are perceived as uninviting. The alternative is to craft choices based on student interest, actually generated by students, or a combination of both. Including students in deciding on the options increases the chances that they will like one of the choices. The combination approach almost guarantees student buy-in. Provide students with two options that are structured by the teacher, based on student-interest surveys or dialog. Then challenge students to create their proposed choice. If a student's idea fulfills the learning criteria, he or she is empowered to do it. Some students will prefer the teacher options, while others will value the chance to pave their own path. Good things happen when teachers facilitate activities and protocols that generate student suggestions and requests. They frame the focus of such sessions so that the feedback addresses curriculum, which leads to data that the teacher uses to differentiate in targeted ways. Whenever possible during coaching visits, I ask students about their learning experiences. Once they know that I'm there to help their teachers support them, students become very candid. A common thread from all ages is that when students feel like they have a voice, the experiences are positive. This is often reflected when they see their ideas incorporated into the learning experiences. Nothing is more frustrating than making suggestions or requests that never happen. Few experiences are more amazing than when students' eyes shine with pride on seeing their idea implemented. "You can lead a horse to water, but you can't make it drink" is sage wisdom. Pushing the horse's head underwater results in it coughing up the water, and never again wanting to go near the shore. Too many students develop a less than appetizing taste of school as they journey through grade levels. Some exert their energy to resist instruction rather than take part in it. 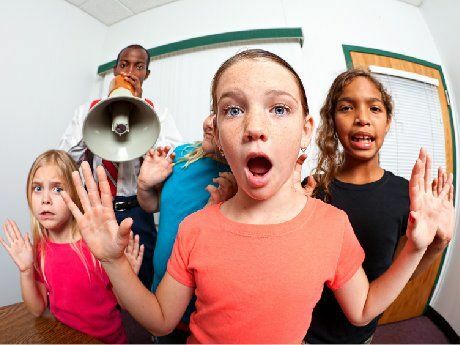 Power and authority will ensure that lessons occur and classrooms are managed -- but some students will follow their internal compass and decide to participate out of enthusiasm or compliance, while others passively resist. Some will fight the losing battle of challenging a teacher's authority. In that case, everyone loses. The greatest gift of teaching is influencing students to want to explore deeply and grow confident with their success. If we want students to actively participate and contribute to the learning experiences, then we must share decision making for how students will develop and demonstrate their understanding. When they become adults, we want future generations who value learning by their choice.